Once you see it, you can’t un-see it. Last week, a purely cosmetic bug in iOS 11 embarrassingly found its way into an Apple ad. Now, the ad is fixed, but the bug isn’t. Apple’s iOS 11 has been so plagued with issues that the company reportedly decided to delay some features planned for the next big update in order to focus on fundamentals. 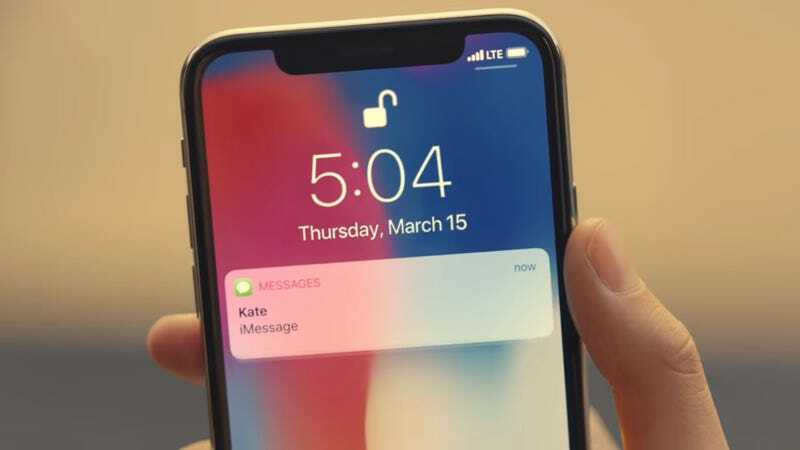 And one minor quibble, the way that iOS 11 draws the bubble for Messages on the lock screen, got more attention than one might expect last week after it momentarily appeared in an ad for the iPhone X. When a message appears, multiple lines of text show up first while the animated bubble expands around it. 9to5Mac’s Benjamin Mayo tweeted that he’d filed a bug report with Apple about this months ago, but it was apparently closed for unclear reasons. Not only did Apple fix the ad, but it apparently managed to use its clout to swap out the video on YouTube with the same link, something that’s not commonly possible. This means all the reports about the bug from last week now have an embedded video that could make a reader scratch their head, and wonder what the outlet is even talking about. We’ve seen “text bombs,” a rare jailbreak, missed calls, Siri snitching, misaligned text, and disappearing docks in this latest iOS release. 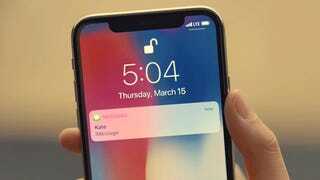 There’s even a company claiming to be able to break the new iPhone’s encryption for a reasonable price, something that was virtually unheard of a year ago. 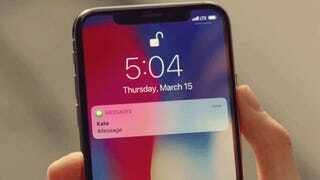 But this ad might be one of the strongest examples of Apple slipping when it comes to its reputation for demanding a fine attention to detail. Sure, software’s going to have problems, but it’s remarkable that it would make it into marketing materials. We’ve reached out to Apple to ask if the bug will be fixed in the next iOS update, but we did not receive an immediate reply. You can see the newly doctored ad in full below.